Faced with lower milk and other commodity prices, many Wisconsin farmers are looking to diversify and add new revenue streams. 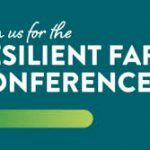 Towards that end, Compeer Financial and University of Wisconsin-Extension announce the Resilient Farms Conference, a one-day event on Tuesday December 11 for farmers interested in exploring new business ideas for their farms. Farmers are encouraged to attend the live event in Wisconsin Dells, however, it will also be possible to “join” the conference electronically at several sites around the state, including Durand. At the Durand location farmers will have opportunity to attend nine different sessions to gather information, resources and tools that can help them explore potential new revenue streams. 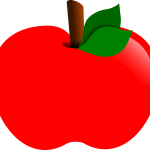 Industry experts, including many farmers who have successfully implemented alternative enterprises, will also be available for one-on-one consultations at the Wisconsin Dells location. The Durand event will open Tuesday Dec. 11 with registration at 8:30 am. The keynote address by Tera Johnson, Food Finance Institute and founder of Tera’s Whey, will begin at 9 am. The morning session will provide attendees in Durand a business and food safety track with Rachel Armstrong from Farm Commons. The afternoon will feature farmers presenting dairy value-added processing, hops production, agritourism, and hemp production. The goal of the conference is to provide ideas and resources to farmers and producers interested in starting something new and diversifying their revenue stream. While creating alternate farm revenue streams isn’t a one-day process, analyzing the business, financial and market components are a key next step. Hearing from farmers who have successfully built a value-added venture is a great way to begin exploring possibilities for your operation.